International coalition announced Monday that 90 percent of Daesh oil destroyed in Syria and Iraq, Alsumaria Iraqi state TV channel reports. A spokesman for the US-led coalition, Col. Steve Warren announced Monday the destruction of 90 percent of the Daesh oil capacity in Iraq and Syria, Alsumaria reports. He also noted that terrorists have lost 40 percent of its territory due to coalition's airstrikes. 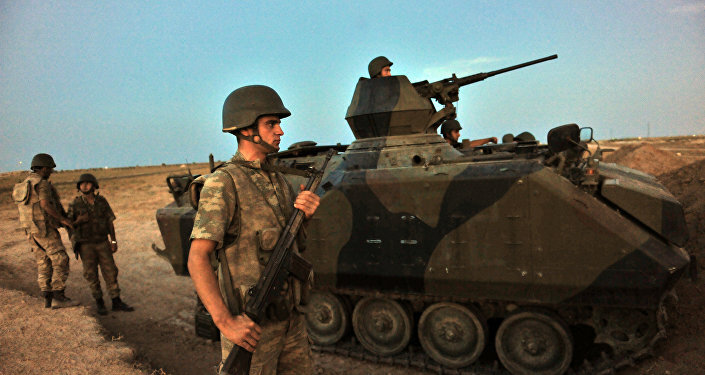 Is the Turkish Invasion of Iraq Nothing More Than a New Oil Play? On Thursday, the UN Security Council passed a resolution obliging all countries to fight against sources of income for terrorists. It is widely believed the Islamic States receives most of its funding through illegal oil sales and smuggling. Russia has said that much of the illegal oil is smuggled into Turkey and resold on markets. Daesh, outlawed in Russia and many other countries, is a violent extremist group, that has seized large areas in Syria and Iraq and declared a caliphate on territories under its control. A US-led international coalition of around 60 nations has been conducting airstrikes against Daesh targets in Iraq and Syria since August 2014.